Traffic is great, but links are better. A hit is just a hit, but a link is a source for many more hits, from dozens to millions depending on the source of the link. That’s where StumbleUpon comes in. Stumble actually has a surprisingly high density of marketers and bloggers as users. That means, if you’ve been paying attention to marketing, that many of the people coming in from Stumble are going to be content creators. They might not be in your niche, and they might not be high profile influencers, but that doesn’t mean their traffic is valueless. The thing about StumbleUpon is that it’s a very fickle platform. The links that rise to the top tend to get hundreds of thousands of views. Meanwhile the links that are left behind languish with under 100 views over the course of a few weeks, followed by a whole lot of nothing. You need to really buckle down, get all of the foundational aspects of your post set for StumbleUpon success, and do everything in your power to promote your content through the platform. Remember; your end goal here is links from the sites run by the people viewing your content. That means you want to make it as easy as possible to create those links. You also want to make your content as compelling as possible. So, let’s take a look at each step of the process. 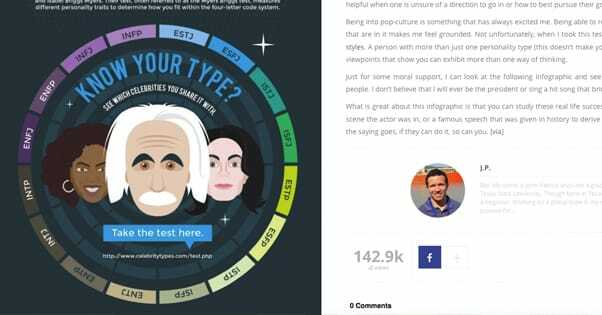 One of the most compelling, sharable and broadly enticing types of content is the infographic. This is good, because I was already planning to write about infographics. Infographics have been a staple type of content for marketers and businesses for several years now. People on the web love graphical content. They love content they can digest in small, simple bites. It’s also much easier to comprehend data displayed in graphical form than it is to comprehend it in text. There are plenty of good guides for making infographics out there, and it’s not the focus of this piece, but I’ll give you a quick rundown to make sure you have the basics in mind. You need an interesting topic. In this case, you’re trying to get traffic and links from StumbleUpon, which means you need to appeal to a broad audience. You can’t pick a topic that is only of narrow interest to people in your niche. You need to pick something with country-wide or global implications. This could be anything from the use of technology in politics to global advertising statistics to the history of cat breeding in the United States. You need to perform a lot of research. We’re talking term paper here. You need a large pool of data to pull from, for two reasons. One, you need to pick the best, most interesting, most accurate and most useful facts and figures for your graphic. If you’re making a top 10 list, you don’t create a list of 10 items and go with it. You get a list of 100 items and pick the best 10. Data for an infographic works the same way. The other use of the data is for supplemental content. A blog post, an ebook, a large evergreen content guide, a white paper; you can create all sorts of additional content to go with your infographic by doing more research than you need for the graphic itself. You need a narrative direction. An infographic is rhetorical argument in graphical form. You have a point you want to make or data you want to showcase. You need to bring people to that data, to that point, by making a logical argument. Explain the background, explain what they need to know the importance of your conclusion, etc. Narrative flow is the easiest way to do this. You need a compelling graphical design. 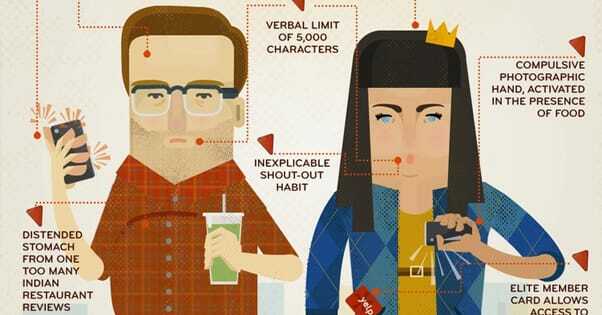 Have you ever looked at the best of the best infographics out there? Here, take a look. Very few of those graphics omit compelling design. Some, like the Coke example at the top, are very simplistic, but they make up for it with intense detail in information. Colors, fonts, charts, cartoon illustrations; all of this is part of your overall graphic design. Trust me here; you’re probably going to want to hire a designer online. You need to edit your graphic when you’re done with it. Sometimes you’ll find that a piece of data just doesn’t work and needs to be cut. Sometimes you’ll realize you need more clarification about a specific point. Sometimes you’ll just miss a typo until the third pass, and need it fixed. Always go over it several times before you publish. You need your sources posted on the graphic itself. If possible, try to use shortened URLs, so they’re easier to type. Include the title and source in plain text and a short URL for maximum source citation. Don’t forget to include a link to your own site! Some people will re-host the graphic without using your embed code, and without a watermark, people won’t know where the graphic came from. I typically recommend accompanying your infographic, on your site, with extra content. When someone uses your embed code, they’ll only get the graphic and a short description with a source link. Meanwhile, on your site, readers get a bunch of extra detail and content, analysis, and more, all in a blog post format that could stand on its own. Infographics are also great as tie-in marketing for products you want to sell. If you produce an ebook on the topic, that ebook can be linked in the blog post, in the infographic itself, even in the embed code. If you’re not designing the infographic yourself, you might be using an infographic design company. There’s nothing wrong with doing this, of course. It’s the usual business determination; do you spend your time on a project, or do you spend your money on it to save your time? If you do choose to hire an infographic designer, make sure you’re not making a mistake in your choice. One concept I like to talk about is how Internet users are about the laziest people you’ll find anywhere in the world. They don’t like to put more effort than necessary into anything, regardless of whether it’s a major coding project or just liking a post on Facebook. Internet users have an internal threshold of annoyance and effort they constantly monitor as they browse. If a topic, if an action, if a piece of content, takes more work than they’re willing to put in, they won’t do it. When it comes to sharing and linking, it might seem like it’s not that big of an investment, and you’re right. It’s not. The thing is, that just means their threshold for frustration is lower. If I present you an infographic in two forms, both identically compelling, which are you going to share? The one with a large bright one-click share button, or the one where you need to click a button, log in, write a captcha, make a post, and share? That’s why you need to remove as many barriers to engagement as possible. You have one goal with your infographic marketing; to get links. Links come from two sources in general; social media and other websites. Social media links are less valuable in general, though social links will be more valuable than links from unrelated websites. For social sharing links, you need to do a few things to make sharing as valuable as possible. Include social sharing buttons for every relevant social network. This includes Facebook, Twitter, Pinterest, Google+, and others. If you have a presence – or your topic is relevant to the audience – you can even include sharing buttons for sites like Reddit and Tumblr. Of course, you should also include the StumbleUpon link. Use an easy click-to-tweet script plugin to create several pre-formatted tweets with a witty line, a link to the blog page, and a relevant hashtag or two. Use a Pinterest plugin to allow Pinterest users to pin the graphic itself with a single click. These are invisible until the user hovers over the image, so they’re unobtrusive. Use a social sharing button for Buffer. It’s not one of the primary social networks, but it is broadly used by marketers to store content they want to share later. A quick and easy Buffer button entices them to link to you later. Customize your open graph attributes, your Twitter card, and any other social media preview box integration. This ensures that even if someone copies and pastes your URL rather than clicking a sharing button, your preview will show up properly. As for earning links from non-social sites, you might have some work to do, depending on how optimized your site happens to be. Make sure your graphic is visible and readable from a mobile device. Mobile sharing is always on the rise, and you don’t want to alienate those readers. Avoid making your infographic several images stitched together. This makes it difficult to link and share without using your embed code. Even if you prefer that people use your embed code, that doesn’t mean they will, and you don’t want to ignore those readers who don’t use it. Make sure you have given explicit permission to share the post and link to it. Some people will be hesitant unless they are given that permission. As for your embed code itself, it’s actually slightly complicated to generate. Thankfully, there’s a good tool to use: the Embed Code Generator from Siege Media. This generator has a lot of fields, so here’s what they all do. Site Name is not just the plaintext name of your site, it’s the URL to which your infographic will be attributed. Post URL is the URL of the blog post that hosts your infographic. This is the target of all your traffic. Make sure you have a blog post, and don’t just link to the image file itself. Image URL is the direct image link to the image URL. Always use a link on your site, just in case you need to make a correction to the graphic down the line. You don’t want multiple versions floating around if you can help it. If you’re concerned about bandwidth from too many people hosting your URL, get a CDN or a better web host. Image Alt is the alt text for the infographic. Keep it short, something as simple as the title of the graphic plus the word Infographic is often all you need. Height and Width of the image are self-explanatory. You don’t need to fill in height at all, if you want to allow width to maintain aspect ratio. If you specify both and the dimensions are wrong, your graphic can end up stretched or skewed. Embed box width is the width of the “copy and paste this to embed” box on your site. Same for height. Once generated, you can copy and paste the code in the “use this code” box into your blog post, beneath the infographic. That makes the embed code appear beneath the graphic on your site, making it very easy to share. While it might not seem like much of the above is related to StumbleUpon, it’s all very relevant. Again, the people coming in from Stumble are real people, people who are interested in your topic, and people who are potentially willing to share or re-post your infographic. Every step you take to attract them and make them want to share is a step to success on Stumble. There are, however, some factors you can influence directly through StumbleUpon itself. For one thing, you should have a Stumble account and profile set up. If you’ve never used the platform before, this means customizing a bio complete with user picture. If you have friends that use Stumble, go ahead and invite them to network with you. The more friends you have ready to share your content for you, the more success you’ll find with the platform. Seed votes are very important, because a few early thumbs down can hurt your ability to spread dramatically. 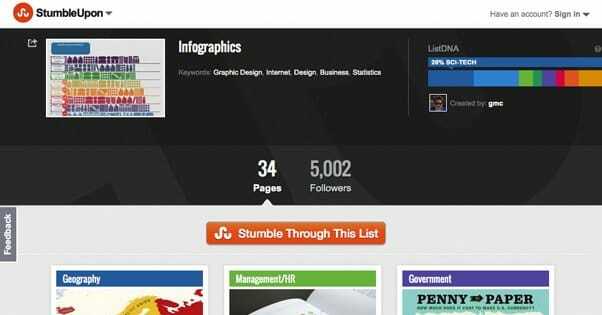 When you share your infographic on Stumble, make sure you’re filling out all of the relevant information. Create a compelling title and description for the content, because it’s almost as important as meta information is to Google search. Likewise, select the appropriate interest categories for your content. Miscategorization is the number one killer of content on StumbleUpon. It will help if you have used Stumble in the past as a regular user. Stumble doesn’t like organic, unpaid advertising, and if every link you’ve ever shared has been one to your website, your links won’t get much attention. You might even find yourself blacklisted or have your account closed. This are obviously detrimental to using StumbleUpon for marketing, so avoid them. From there, it’s all to the whims of the audience. You can, if you feel confident in investing in StumbleUpon, create extra attention on your blog post pointing towards the Stumble button. I’ve seen sites that use graphical arrows to point to the button, or to where on the toolbar the thumbs up would be. I only recommend doing this if you are confident in your ability to utilize traffic from Stumble more than you can from other social networks, though. Paid discovery is the PPC ads system StumbleUpon uses. See, the way Stumble works is that each time the user clicks the stumble button, they are taken to a page relevant to their interests, as determined by an algorithm that picks a post they will probably find interesting. Paid discover supersedes this algorithm and shows your post even when it might not necessarily be the best or most interesting page for that user to see. Organic stumbles do not count against your budget, but you are paying per view, not per act of engagement. One great benefit of Stumble’s paid discovery is that you’re guaranteed targeted visitors. The very nature of StumbleUpon means that users are only browsing pages with content they potentially want to see. Stumble gains nothing by showing your posts to non-engaged users, and it would in fact be more work for them to set it up that way. You will need to choose a level of budget appropriate to your goals. You can get 10 cent visitors at a lower volume, or pay for a higher volume and higher priority by paying 25 cents per visitor. These are fixed prices, they don’t vary based on topic, so keep this in mind when establishing your budget. 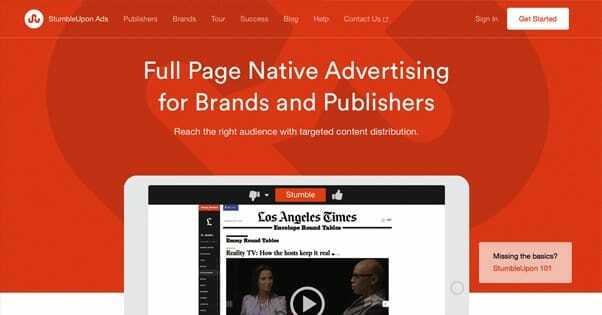 Creating an ad in StumbleUpon’s ad system is very much like submitting your URL organically. You have to choose interest bundles or specific interests, just like when you’re adding your site normally. The only difference is, you’re asked to put in payment information and a budget limit. Once again, StumbleUpon is very reliant on the first few votes to determine how valuable your content is, and how much it should be shown. This means there’s an initial hump to get over. Paid discovery helps you force through enough volume to get enough positive votes to kick-start your Stumble traffic. From there, of course, it depends on the quality of your content and your audience. No matter how much you pay, if your audience doesn’t like your graphic, you won’t get any links.